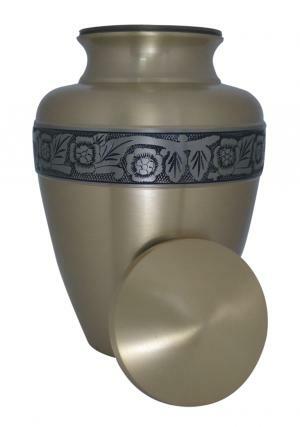 Avalon Bronze Floral Brass Adult Urn is a large adult cremation urn made of brass metal with the smooth sand cast finishing of bronze. 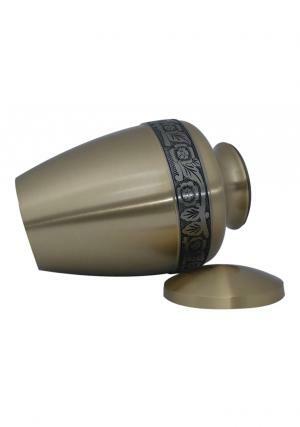 The metal urns are made to perfection with safety of ashes and engravings from skilled professional in floral aspects of black. 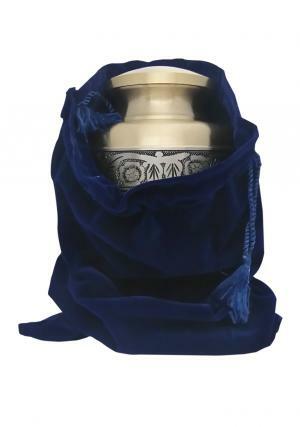 The bronze Floral Adult ashes urn has threaded lid used to secure the ashes of the loved one’s and lid covered in plain bronze layer. 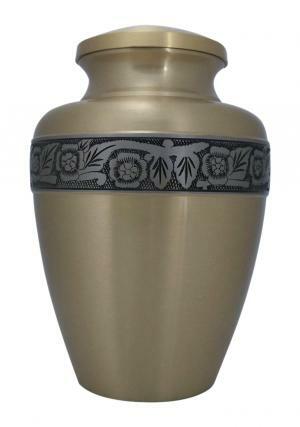 Avalon Bronze Floral Brass Cremation Adult ashes urn measures to weight 2.06 kg (empty), stands 9.65 inch tall and width of 6.5 inch. 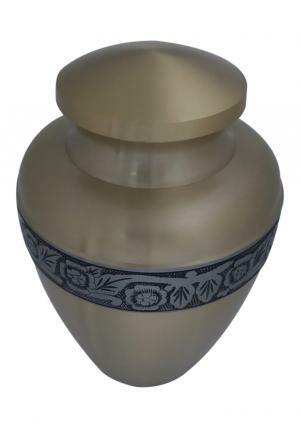 The capacity of space that could fit 200 cubic inch of human ashes in it.